If all goes according to plan, in a few days hence, at 3:57 AM EST this Sunday morning, a space capsule will return to earth from its seven year, three billion mile mission, landing by parachute in a Utah desert. During its long journey, the craft STARDUST has been collecting stardust and cometary ejecta from the comet WILD 2, pronounced "Vilt 2" after the name of its Swiss discoverer. The craft was equipped with a special gel called “aerogel” and its purpose was to trap microscopic particles and larger in its jellylike maw. It left part of its collection panels open during the entire seven year flight to capture these tiny grains of matter floating about in space, hence the name, STARDUST. Scientists hope to retrieve the matter from the gel and examine it. YOU can help them do that on your home computer. Check out this link and you can become a STARDUST investigator (for real), much like the incredibly successful SETI AT HOME program. 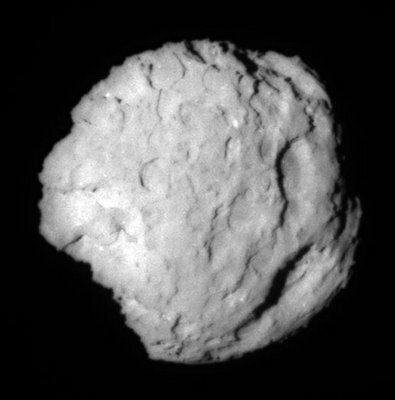 The hardy little craft also rendezvoused with the comet WILD 2 on January 2004, passing the comet at more than 13,000 miles per hour (see video clip), but in the passage scooping up some cometary particles in its aerogel trap. By Monday morning, earthlings should finally possess many tiny pieces of a comet and who knows how much pristine stardust as well. If you wish to follow the action this weekend, click here. Who Said Outposts Have to Be Rugged?